Diseases transmitted by ticks and mosquitoes have risen significantly in the United States over the last 10 years. There has been a huge increase in the number of reported cases of Lyme disease, a tick-borne virus caused by a bacteria that is spread by an infected tick when it bites. Zika and Chikungunya, transmitted by mosquitoes have resulted in epidemic outbreaks, but what can we do about it? Ticks and mosquitoes bringing more diseases – what can we do? Cases of vector-borne disease have more than doubled in the U.S. since 2004, the Centers for Disease Control and Prevention recently reported, with mosquitoes and ticks bearing most of the blame. Mosquitoes, long spreaders of malaria and yellow fever, have more recently spread dengue, Zika and Chikungunya viruses, and caused epidemic outbreaks, mainly in U.S. territories. The insects are also largely responsible for making West Nile virus endemic in the continental U.S.
Ticks and mosquitoes are almost everywhere, and that includes your back yard. Which is why homeowners are advised to take regular steps towards tick and mosquito prevention. These diseases will continue to rise, what we do have a little control over, is how fast it will happen. If we are taking all precautions, then we can slow down the transmission. We all have a responsibility. Why the uptick in vector-borne disease, and, more important, how can we protect ourselves? As researchers of these types of diseases, we have some answers. Both mosquitoes and ticks transmit disease-causing pathogens through bites. Only the female mosquito takes a blood meal to make eggs, but almost all life stages of ticks need blood to survive…. 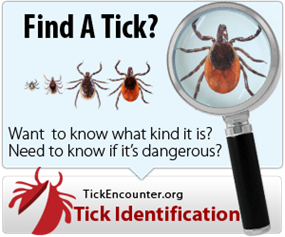 If you need a little advice about tick and mosquito control, then you can contact us, where our helpful team will be able to give you some peace of mind and suggestions as to what you can do to protect yourself from these pests.